This amazing photo shows a bay in Norway located in the island of Lovund. A combination of a strong east wind and an air temperature of -7.8C cause the sea water to freeze instantly. 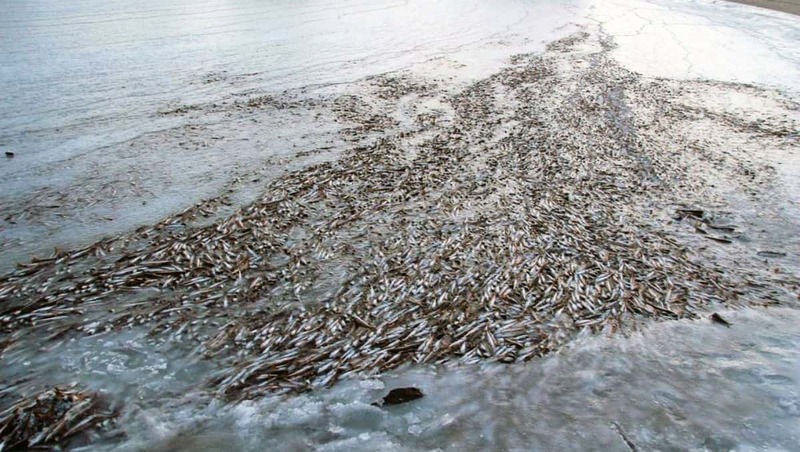 The fish in the water were trapped in the ice and killed instantly. 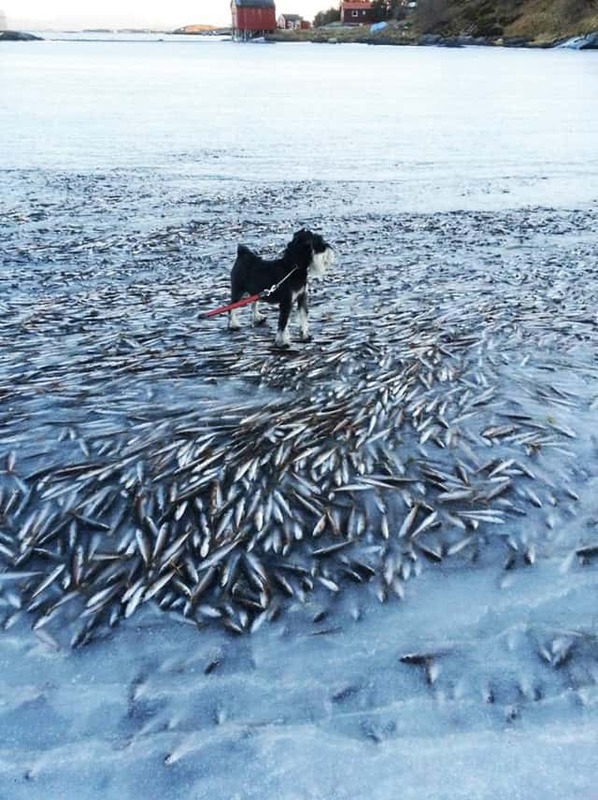 Thousands of fish were killed. The fish you see here are herring, scientists have said that they were probably chased into the bay by cormorants. According to Aril Slott at Norways Institute of marine research is is common for herrings to get very close to shore when being chased by predators. As amazing as this is, it is not the first time that it has happened in the area this year. Last week a woman named Inger Sjoberg came across this frozen elk. 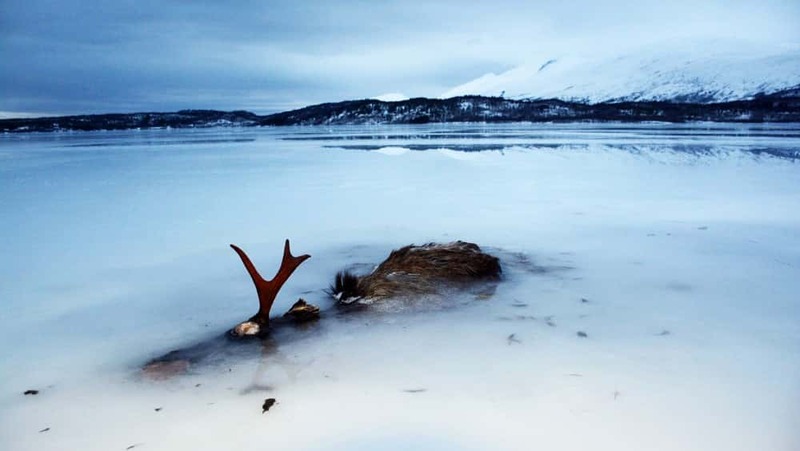 The photograph of the elk was taken at Kosmo Lake in Fauske which is located approximately 290kms north of Lovund. 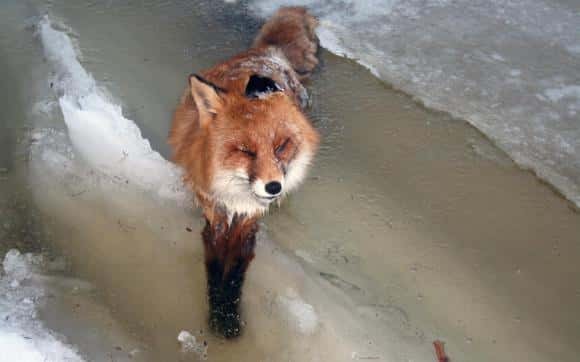 This red fox was found frozen in a river in Norway. It was standing upright in the river as if the water had frozen and trapped it as it was attempting to cross. Foxes are known to have a very high tolerance for cold, no one is certain what caused it to freeze in such a position, interesting stuff !